We have not seen many new penthouses come onto the market lately in the Pearl District but we should see a nice one come on by the end of this week and it is in one of my favorite buildings, The Elizabeth. This 15th floor Elizabeth penthouse will be priced at $3,650,000 (so I have heard) and offers 3,443 square feet of living space. If you are in the market for a beautiful penthouse in the heart of the Pearl, give me a call and be one of the first to see this unit! I mentioned that the Elizabeth is one of my favorites and the reason behind that is that it is a building with a ton of details and character! John Carroll, the developer, does some of the best designs in the city and is a developer that actually spends the money for the extra touches that set his buildings apart from the others. Recent development in the Pearl, including Hoyt Properties Vista, seem very vanilla in comparison with not much thought about the architectural aesthetics involved. Even now, as Carroll introduces his newest project, The Dianne, touches of quality design can be seen, even on this building that has been built to house those wanting to rent instead of buying. 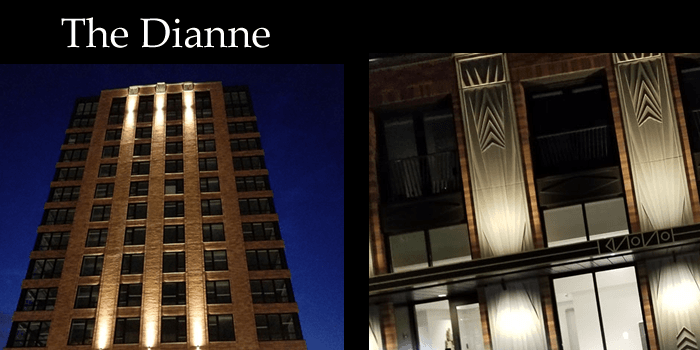 Last night as I drove by the Dianne, I noticed that even the lighting on the building gave it a dramatic look that we have not seen in the last several developments in the Pearl. Like buildings before, such as The Gregory and The Elizabeth, you see touches of detail that often get eliminated by most developers that try to squeeze every penny from the development. 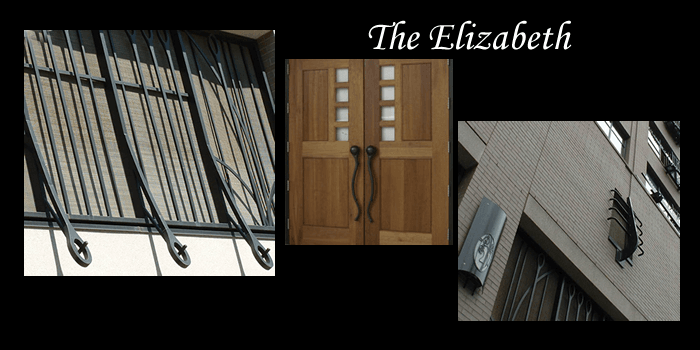 On the Elizabeth, you notice many details when you walk around the building starting with its trademark entry doors. Then you notice the tremendous amount of the wrought iron designs all around the building that give the Elizabeth its character. These were a tremendous extra cost to the developer that he could have avoided and increased his profits. Instead, this developer choose to make a lasting impact on a great neighborhood that also has much character. For that, I say thank you to developers like John Carroll!